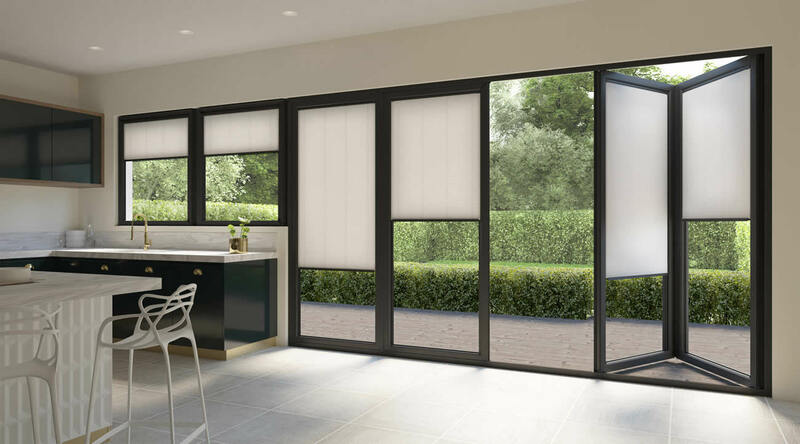 Intu Micro Blinds are the perfect solution for your Bi-Fold doors. 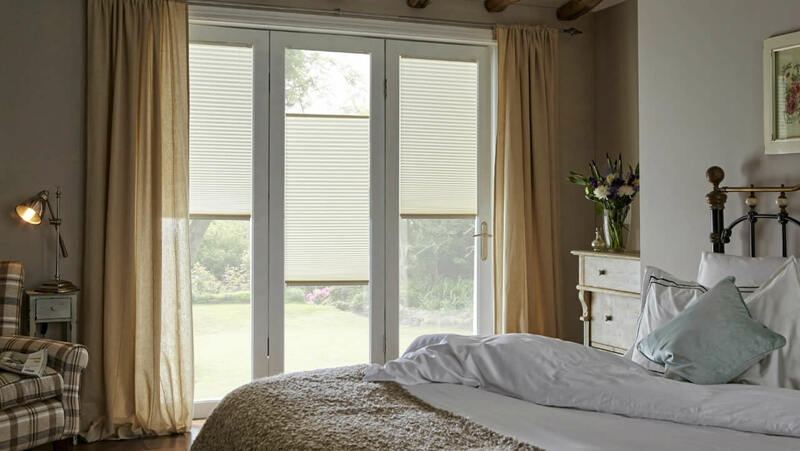 Designed for compact spaces & Bi-Fold doors, they have a smaller pleat size enabling the doors to fold back without any problem. To complement your doors or window frames, the rail colours are available in white, brown or anthracite. 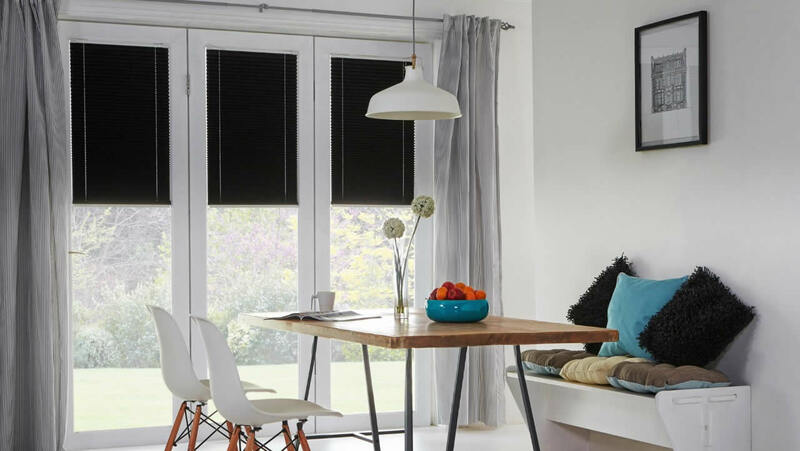 No doors or windows are harmed in the installation of Intu Micro Blinds, as no drilled holes or screws are needed! 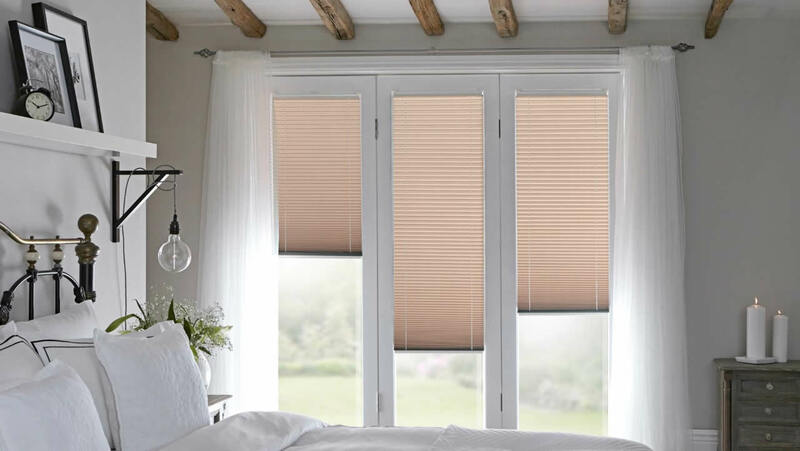 Our Intu Micro Blinds are child safe.